I am honoured to be with you on this solemn and moving occasion. This year marks the 25th anniversary of the genocide against the Tutsi in Rwanda. In one of the darkest chapters in recent human history, more than one million people – overwhelmingly Tutsi, but also moderate Hutu and others who opposed the genocide – were systematically killed in less than three months. On this Day, we honour those who were murdered and reflect on the suffering and resilience of those who survived. I would particularly like to acknowledge the presence of our dear guests from Rwanda – Mrs. Esther Mujawayo and Father Marcel Uwineza – who survived the genocide and who will be sharing their stories with us. Today we stand in solidarity with the people of Rwanda. But, our reflection on the Rwandan genocide also must should beyond one country and one moment in history. We must take a hard look at the present. As we renew our resolve to prevent such atrocities from ever happening again, we are seeing dangerous trends of rising xenophobia, racism and intolerance in many parts of the world. Particularly troubling is the current widespread proliferation of hate speech and incitement to violence. Things that were very clearly present in Rwanda immediately before the genocide. They are an affront to our values, and threaten human rights, social stability and peace. The massacre at two mosques in New Zealand a few weeks ago is just the latest tragedy rooted in such poison. Today’s commemoration gives us an opportunity to once again raise our voices against racism, xenophobia and related intolerance, including social and ethnic discrimination, anti-Muslim hatred and anti-Semitism. Wherever they occur, these evils should be identified, confronted and stopped to prevent them leading, as they have in the past, to hate crimes and genocide. 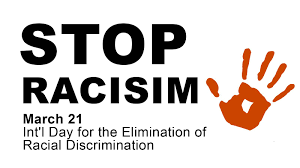 I call on all political, religious and civil society leaders to reject hate speech and discrimination, and to work vigorously to address and mitigate the root causes that undermine social cohesion and create conditions for hatred and intolerance. The capacity for evil resides in all societies. But, so too, do the qualities of understanding, kindness, justice and reconciliation. That is one of the profound lessons of the Rwandan experience. The country’s recovery is a rightful source of pride and comfort for the people and Government of Rwanda. I would also like to commend Rwanda for its exemplary role in the international community. Rwanda is today the fourth largest contributor to UN peacekeeping operations. It is notable that a nation that has endured the worst atrocities should risk its soldiers to ensure those atrocities cannot happen elsewhere. After having suffered unspeakable gender-based violence, women now hold 60 per cent of parliamentary seats – another example that Rwanda can share with the world. Rwanda has also embraced environmental sustainability. As a pioneer in banning single-use plastic bags, it is now one of the cleanest nations on earth. In all, Rwanda’s experience holds so many lessons for humanity. From the darkest depths, the country has risen in a quarter century as a pioneer for the sustainable future we all strive for. On this day of commemoration, let us all pledge to work together to build a harmonious future for all people, everywhere. This is the best way to honour those who lost their lives so tragically in Rwanda 25 years ago. This entry was posted in Latest news, Secretary Generals Messages and tagged anti-Muslim hatred, Anti-Semitism, Genocide, Human Rights, Hutu, Rwanda, social and ethnic discrimination, Tutsi, xenophobia on April 14, 2019 by Charles Nonde. around the world. It denies them their dignity, endangers their health and causes needless pain and suffering, even death. Message in other UN official languages: Arabic, Chinese, French, Russian,Spanish. 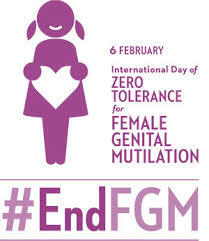 This entry was posted in Latest news, Secretary Generals Messages and tagged Female Genital Mutilation, Girls, Human Rights, SDGs, UN, Women, Zero Tolerance on February 6, 2019 by Charles Nonde. Rogan spoke at a commemorative event in Lusaka to remember the victims of the Holocaust with a call for love and need to defend human rights. Six million Jews and other groups of people were killed during the Holocaust between 1941-1945 by the Nazi regime and their collaborators. “It is necessary for us not only to remember the people who were mercilessly murdered during the holocaust, during the genocides, but also to think hard about the reasons why they were killed; to think about how the general population was incited against those people of difference. And it is necessary to do everything possible to teach ourselves and our children how to defend ourselves against such evil ideologies so that such crimes can never, ever again be perpetrated in our presence or our collective knowledge,” Ms Rogan said. Minister of National Guidance and Religious Affairs, Reverend Godfridah Sumaili, MP, was guest of honour. In her speech, the Honourable Minister called upon youths to reject violence and instead contribute meaningfully to Zambia’s development. A student makes comments reflecting upon the commemoration. seek meaningful participation in the development of Zambia. Zambia depends on youths as agents for change. Fighting is not one of the ways to participate in development,” Rev. Sumaili said. The event involved informative exhibitions including a historical video narrating events and decisions that forever changed the world, and a multi-paneled exhibition where students read testimonies, viewed family photographs and learned about The Butterfly Project: stories from children and their families during the Holocaust. Others who joined children and youth at the event in expressing their views on peace, unity, love and tolerance were a representative from the Council of Churches in Zambia, Zambia-Israel Initiative Bishop Peter Tande Mulenga, former Namwala Member of Parliament Dr. Ompie Nkumbuka-Liebenthal, Chairperson of the Council for Zambia Jewry Simon Zukas and other members of the Jewish Community in Zambia including Cynthia Zukas, Shalomi Abutbul, Izak Ephrati and Robert Liebenthal. On 1st November 2005, the United Nations General Assembly adopted Resolution 60/7 designating 27th January as an annual International Day in Memory of the Victims of the Holocaust. 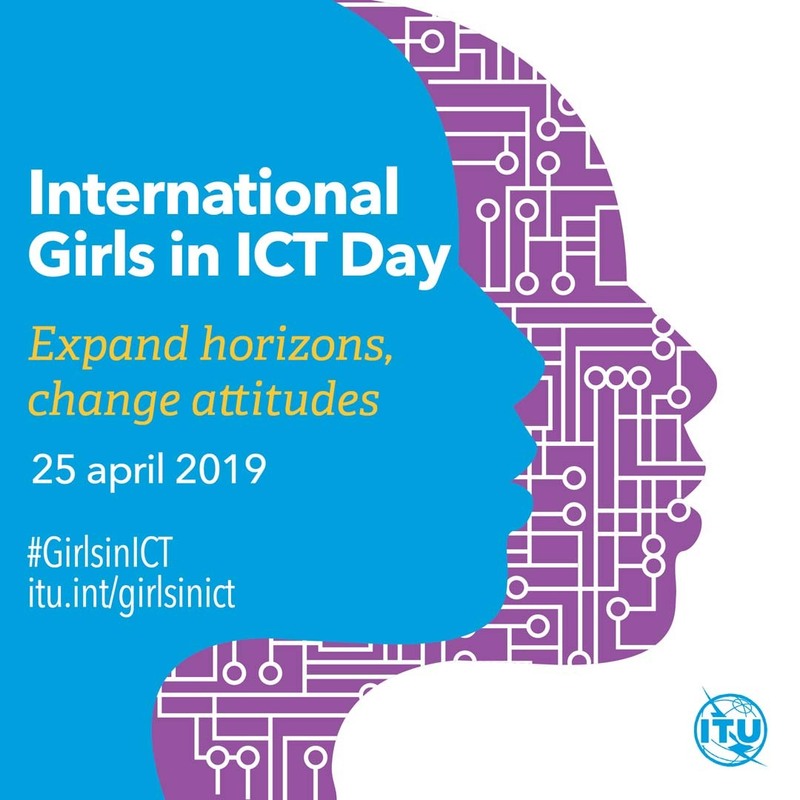 This day serves as an opportunity to raise awareness and bolster inclusivity among every person within their daily lives by continuing to thrive and to strive for better living standards together, undivided. 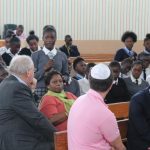 This entry was posted in Latest news and tagged Butterfly Project, Council for Zambia Jewry, Exhibition, Holocaust, Human Rights, Jewish Community, peace, Resolution 60/7, UN, Youth, Zambia, Zambian Government on February 1, 2019 by Charles Nonde. capital, Lusaka. 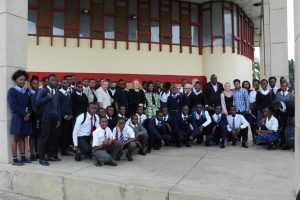 About 100 people, including 70 students from four secondary schools participated in the event at which the Minister of National Guidance and Religious Affairs, Rev Godfridah Sumaili was guest of honour. Other dignitaries included Ms. Janet Rogan, the United Nations Resident Coordinator in Zambia, Mr. Simon Zukas Chairperson of the Council for Zambia Jewry, Ms Victoria Chitundu, Director for Lusaka National Museum and representatives from the Jewish community in Zambia and other Faith-Based Organisations. Rev Sumaili emphasized the importance of observing the Holocaust. “This is a very important day as it helps us to save the coming generations from the scourge of unprecedented acts of genocide as witnessed when over six million Jews and other groups of people including Jehovah’s witnesses and gypsies were killed by the Nazi regime. Further, commemorating the Holocaust is important in reminding us of the need to protect and defend human rights,” she said. 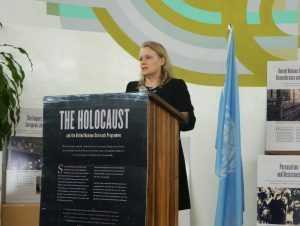 Ms. Rogan said in her speech that it was necessary for all to not only remember the people who were mercilessly murdered during the holocaust, but also to think hard about the reasons why they were killed; to think about how the general population was incited against those people of difference. She called for need to do create awareness about need to speak and act evil ideologies so that crimes such as the Holocaust can never, ever again be perpetrated. “To hold this kind of event is meaningful not only to honour millions of victims, but also to let people think about the value of peace to prevent the tragedy from occurring again,” she said. Mr. Zukas shared that he lost family members during the Holocaust, a narration that left a few teary eyes in the audience. This was echoed by his wife Cynthia Zukas, who also spoke about similar losses of family members at the hands of the Nazi in concentration camps. Pupils expressed the need for love, tolerance and unity. One pupil noted that through the event, she was able to better understand the Holocaust as it was her first-time ever hearing about these acts of genocide by the in Nazi regime. The children also observed an exhibition called Butterfly Project, a narrative about the Holocaust by children who survived the atrocities. This entry was posted in Latest news and tagged History, Holocaust, Human Rights, Jewish Community, World War 2 on January 30, 2019 by Charles Nonde. others murdered during a period of unprecedented, calculated cruelty, when human dignity was cast aside for a racial ideology. Yesterday was, by the way, also the 75th anniversary of the lifting of the siege of Leningrad. That prolonged the blockade — 872 days of siege, starvation and suffering – that was a horror within the horror. As we remember, we also reaffirm our resolve to fight the hatred that still plagues our world today. In fact, it is necessary – more and more – that we sound an alarm. It is just three months since a man armed to the teeth entered the Tree of Life synagogue in Pittsburgh shouting “all Jews must die”. He murdered 11 worshippers observing Shabbat. It was the worst anti-Semitic attack in the history of the United States. Last month at a Jewish cemetery near Strasbourg, in France, vandals smeared swastikas on dozens of tombstones and defaced a monument to Holocaust victims. And just days ago in Bulgaria, stones were thrown through the window of Sofia’s central synagogue. I would like to be able to say that these incidents were aberrations, or that they are only the last gasps of a prejudice that deserves to die. But sadly, what we are instead seeing is the flame of a centuries-old fire gaining in intensity. Not only is anti-Semitism still strong – it is getting worse. We must rise up against rising anti-Semitism. According to the Anti-Defamation League, anti-Semitic incidents in the United States increased by 57 per cent in 2017. The European Union’s Fundamental Rights Agency reported last year that 28 per cent of Jews had experienced some form of harassment just for being Jewish. Many added that fears for their safety have led them to stay away from Jewish events – or even to contemplate emigrating. Another poll in Europe by CNN revealed the strong persistence of classic anti-Semitic motifs. In fact, the old anti-Semitism is back. At the same time, we are seeing attempts to rewrite the history of the Holocaust, to distort its magnitude and to sanitize the wartime records of leaders, citizens and societies. Meanwhile, neo-Nazi groups are proliferating. A recent Public Broadcasting System Frontline programme conducted an in-depth exploration of one of the extremist and white supremacist organizations in the United States that promote hatred against Jews, and also other minorities, homosexuals and others. Their views are right out of “Mein Kampf”. They have, by the way, a similar book written by their leader. Their recruitment methods target the disaffected. They seek out people with military experience – and encourage sympathizers to join the armed forces to gain weapons training. And the massacre in Pittsburgh was precisely in keeping with their advocacy of violent, so-called “lone wolf” attacks. Inevitably, where there is anti-Semitism, no one else is safe. Across the world, we are seeing a disturbing rise in other forms of bigotry. Attacks on Muslims in several societies are on the rise, sometimes even outpacing other forms of hatred. Rohingyas, Yazidis and many others have faced persecution simply for who they are. Intolerance today spreads at lightning speed across the Internet and social media. Perhaps most disturbingly, hate is moving into the mainstream – in liberal democracies and authoritarian systems alike. We have seen this throughout the debate on human mobility, which has featured a stream of invective, falsely linking refugees and migrants to terrorism and scapegoating them for many of society’s ills. Major political parties are incorporating ideas from the fringes in their propaganda and electoral campaigns. Parties once rightly considered pariahs are gaining influence over governments. And where once some political figures used the so-called “dog whistle” to signal their followers, today they also feel able to trumpet their noxious views for all to hear. Political discourse is being coarsened. And with each broken norm, the pillars of humanity are weakened. That is part of what Hannah Arendt identified as the path towards totalitarianism. We should not exaggerate the comparisons to the 1930s. But equally let us not ignore the similarities. We see some societies wanting to turn back the clock on diversity. Political establishments have a profound and growing trust deficit. The demonization of others rages on. Such hatred is easy to uncork, and very hard to put back in the bottle. One urgent challenge today is to heed the lessons of history and the Holocaust. First, by keeping memory alive. A recent poll in Europe found that one third of people say they know little or nothing about the Holocaust. Among millennials, some two-thirds had no idea Auschwitz was a death camp. As the number of survivors dwindles, it falls to us all to carry their testimony to future generations. This is our duty and we must make sure that what the memory of survivors is able to tell will persist forever. Education is crucial – about the Holocaust, about genocide and crimes against humanity, about racism and the history of slavery. The United Nations and the Holocaust Outreach Programme has activities in dozens of countries, and we are strongly committed to expanding its reach. And, we must stand up to those who disseminate hatred. I have asked my Special Adviser on the Prevention of Genocide to assess the efforts of the UN system in countering hate speech and to devise a global plan of action to deepen this essential work. We had, just last Saturday in Park East Synagogue, a very moving testimony from Rabbi Schneier proposing that we should gather Ministers of Education all over the world to make sure that in schools these questions are clearly introduced in the curricula and that students will never be able to deny these facts. Because indeed, countering hate speech is essential to preventing hate crimes. That means rejecting hate in schools and workplaces, at sporting events and on the street. And it means reaffirming universal values and equal rights. Finally, we must bring those rights to life. Proclaiming principles is not enough. Vilifying the violators is not enough. We must go further by working for a fair globalization, by building democratic societies, and by addressing the roots of the anxieties and angers that make people susceptible to populism and demagoguery. 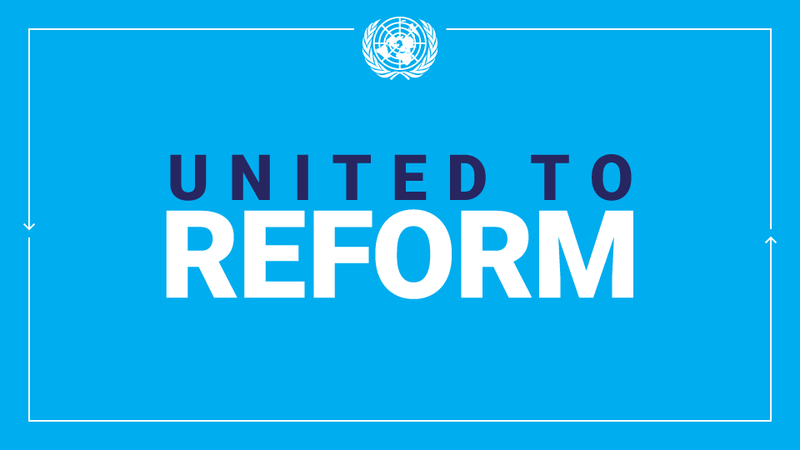 Governments and international organizations must show they care and make rights real in the lives of all. One of the great shocks of the Second World War was how a society of such high attainment proved so ripe for Hitler’s venom. “Curious: At the very moment modern technology annuls all frontiers and distances…, the most extreme nationalism is raging.” This was said in the ‘30s. We are not immune to the same risks today. Our response must be clear: to strengthen all we do to build the defences, the laws and the mindsets that will uphold the dignity of all, for all time, having the fight against anti-semitism in the front lines. This entry was posted in Secretary Generals Messages and tagged Anti-Semitism, Auschwitz-Birkenau, Crimes against humanity, Hate Crimes, Holocaust, Holocaust Outreach Programme, Holocaust Survivors, Human Rights, Second World War on January 28, 2019 by Charles Nonde. 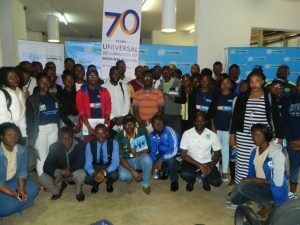 Over 50 youths from Lusaka on December 21, 2017, attended a discussion dialogue in commemoration of the Human Rights Day held at the United Nations Information Center (UNIC) Lusaka. The event which was aimed at discussing various issues concerning people’s rights attracted students from various learning institutions such as the University of Zambia (UNZA), Zambia Institute of Chartered Accountants (ZICAS) as well as Zambia Center for Professional Training and Consultancy (ZCTC) among others. Gilbert Kasulwe, a Student at UNZA expressed concern at the levels at which elderly people’s rights are being abused as most of them get accused of practicing witchcraft because of their age. 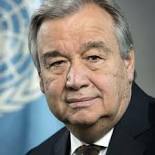 Meanwhile, in a message on the Human Rights Day from the United Nations (UN) Secretary General Mr. Antonio Guterres, he stated that everyone has the right to speak freely and to participate in decision making that affect the people’s rights. “All of us have the right to speak freely and participate in decisions that affect our lives. 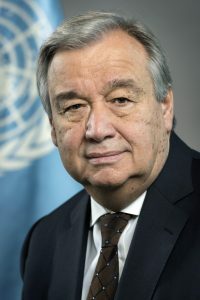 We all have a right to live free from all forms of discrimination and we all have a right to education, health care, economic opportunities and a descent standard of living,” said Mr. Guterres. He further stated that since the proclamation of the Universal Declaration in 1948, human rights have been one of the three pillars of the UN along with peace and development. This entry was posted in Latest news and tagged Community Outreach, Human Rights, International community, United Nations, Youth, Zambia on January 8, 2018 by Charles Nonde. The United Nations (UN) in Zambia joined the rest of the world in commemorating the 50th anniversary of the International Day of Solidarity with the Palestinian People which falls on the 29 th of November anually. Group Photo: Participants who took part in the International Day of Solidarity with the People of Palestine. The event which was held at International Labour Organisation in Lusaka was attended by the Ambasssdor of the State of Palestine H.E.Dr. Walid Hassan, the United Nations Developpement Programme(UNDP) Country Representative Ms. Mandiso Mashologo who was representing the UN Resident Coordinator Ms Janet Rogan as well as the Acting Director for Zambia Mine Action Centre in the Ministry of Foreign affairs who was representing the Guest of honor the Director of Political Affairs in the Ministry of Foreign Affairs Mrs. Isabel Lemba. In her remarks, Mrs. Lemba commended the UN for successfully organising the event under the theme; “peace , freedom and national building,” as it is in line with the values of the Zambian Government. 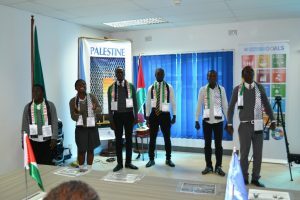 ” I wish to express my gratitude to the United Nations Information Center (UNIC) Lusaka and the Embassy of the State of Palestine for successfully organizaing this year’s observance and I also commend the Government of the State of Palestine for its efforts aimed at finding an amicable solution to the Isreali-Palestine Conflict,” Mrs Lemba said. Students from David Kaunda Secondary School recite a poem on peace. 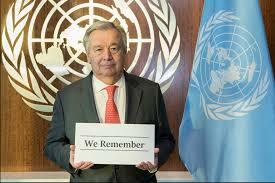 remained a priority of the UN since its establishement in seeing to it that the people of Palestine have a free State. ” The question of Palestine has remained a standing item and a priority on the United Nations agender since its inception and this institution has adopted resolutions and recommendations that constitute a solid basis of a just and lasting peace,” Dr. Hassan said. He further said that the people of Palestine await the day when everyone will come together and celebrate the independence of the State of Palestine. Meanwhile, in a statement read on behalf of the UN Resident Coordinator by the UNDP Country Director Ms. Mandisa , the UN Secretary General Mr. Antonio Guterres stated that during his last visit to Israel and Palestine he met both leaders of the States and encouraged them to create an enabling environment for peace negotiations. ” Last August, during my visit to Isreal and Palestine, leaders on both sides restated their commitment to a negotiated peace, and I encouraged them to tangibly demonstrate this commitment and create the conditions for a retur to meaningful negotiations,” Mr.Guterres said. He further stated that this is the time to end the conflict by establishing an independent Palestinian State and live in peace with the State of Israel. This entry was posted in Latest news and tagged Human Rights, Israel, Palestine, peace, The Question of Palestine, UN, Zambia on January 4, 2018 by Charles Nonde. 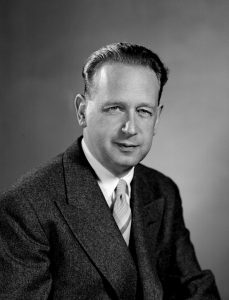 commemorating the 56th memorial of the death of former United Nations Secretary General (UN) Dag Hammarskjöld who died in a plane crash near Ndola while on a peace mission involving the Democratic Republic of Congo in 1961. The event which was held at the United Nations House in Lusaka attracted guests that included Swedish Ambassador to Zambia Henrik Cederine and Resident Representative of the International Labour Organisation (ILO) in Zambia Alexio Musindo (who represented the UN Resident Coordinator Janet Rogan). In a speech read on her behalf by Mr. Musindo, Ms. Rogan expressed sadness at the use of youths in Zambia as perpetrators of violence. “It is sad to note that the youth have been used as tools to injure others simply because they belong to a political party different from their own,” Ms. Rogan said. She urged the youths to refrain from violent activities and embrace peace as they are vibrant and can act as agents for change. His Excellency the Ambassador said that the life of Hammarskjöld shows that one man can make a difference. “Dag Hammarskjöld showed as that one man can make a difference. He followed his own convictions, and he had the ability to shape events as well as tirelessly defending the ideals of the UN charter,” The Ambassador said. Other institutions such as the Dag Hammarskjöld foundation in Sweden represented by Ms. Karin Abbor-Svennsson, the Pillars of Peace, Global Platform, Zambia Scouts Association as well as Agents of Change were present at the event. As part of the event, dialogue was held on the role of youths in building peace. Several proposals were later made by participants on how youths can ensure that they are advocates of peace. One of the proposals made was the need for the youths to be actively involved in events that are aimed at promoting peace. 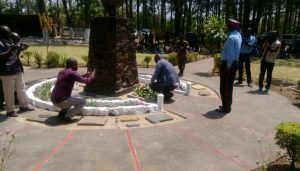 On 22nd September 2017 In Ndola, a solemn event was held at the Dag Hammarskjold crash site in honour of the work that Dag did. There were songs, poems and dance with messages of peace. in attendance was the Provincial Minister Hon. Bowman Lusambo, The Swedish Ambassador, Representative of the Dag Foundation in Sweden, the United Nations, various educational institutions and the Defense Forces. The Minister called on the nation to come together and work for peace. Wreaths were laid at the cenotaph erected in honour of Mr. Hammarskjold and a tour of the crash site was conducted by the Site Manager Mr. Hanguwa who explained a few significant findings at the site such as how long it took the recovery team to reach the site, where Dag was found and how the site was designed in the shape of the plane based on the direction the plane was facing at the time of the crash. 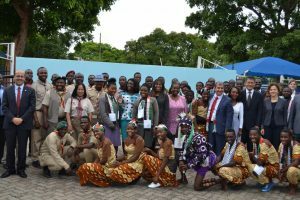 This entry was posted in Latest news and tagged Copperbelt, Dag Hammerskjold, Human Rights, Ndola, Peace and Security, peace building, UN, Youth, Zambia on January 4, 2018 by Charles Nonde. 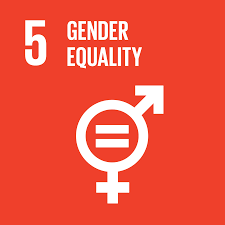 This entry was posted in Latest news, Secretary Generals Messages and tagged Agenda 2030, Culture, Gender, Girls, Human Rights, Leadership, Peace and Security, Sustainable Development Goals, UN, Women on March 9, 2017 by Charles Nonde.